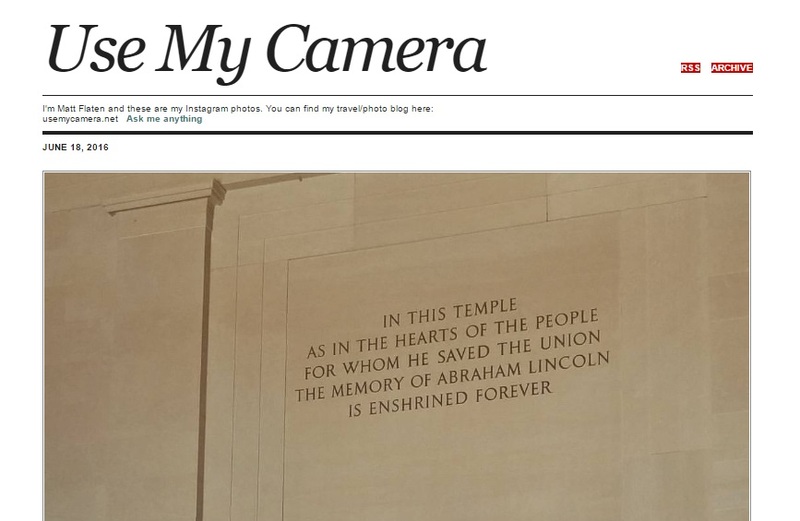 I've been taking my camera with me just about anywhere we go and when I don't bring it along I've got my cellphone to capture anything interesting we come upon. This leads to a ton of photos that will never see their own post and so every once in a while I'll collect them and post them together. And so here's the first one which covers mid-September through mid-October 2012. 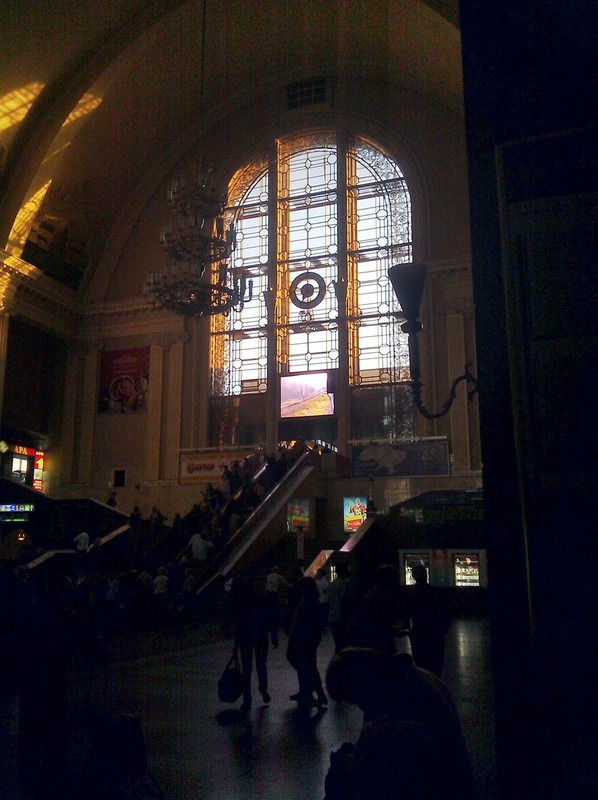 We begin with the Kiev train station...we'll be headed back to Kiev in a few weeks and it will be nice to get to know that city better. 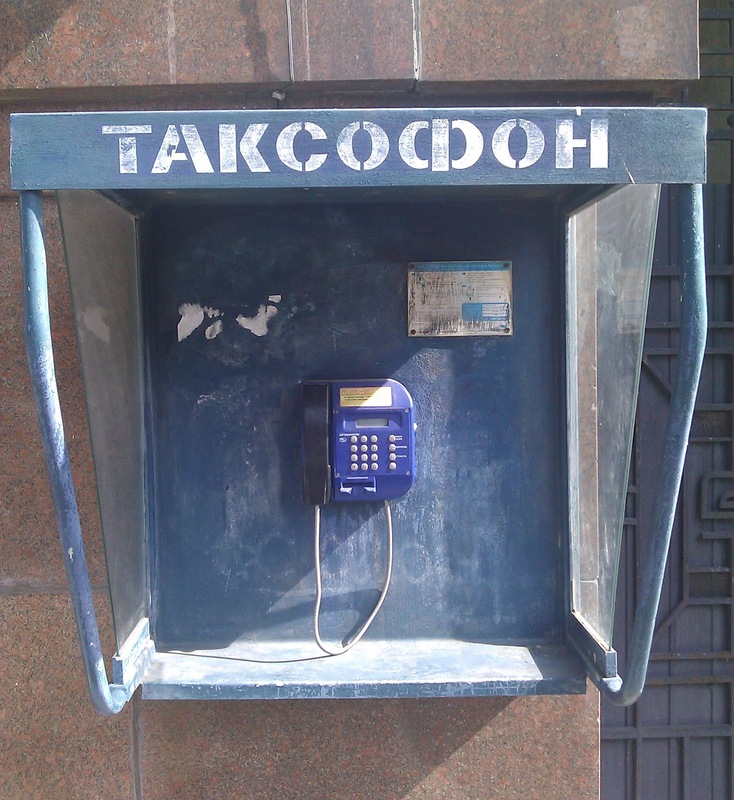 This is the design of Ukrainian pay phones which you can find pretty much everywhere still. I've been interested in photographing pay phones since I read issues of a magazine called Hacker Quarterly. They feature a section with payphones from around the world. 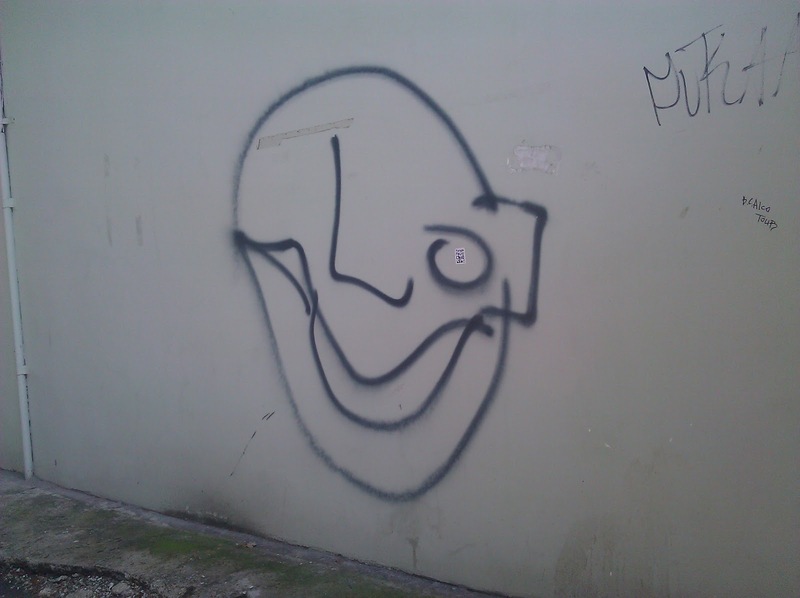 Graffiti from around Kharkiv...I think this guy is winking. 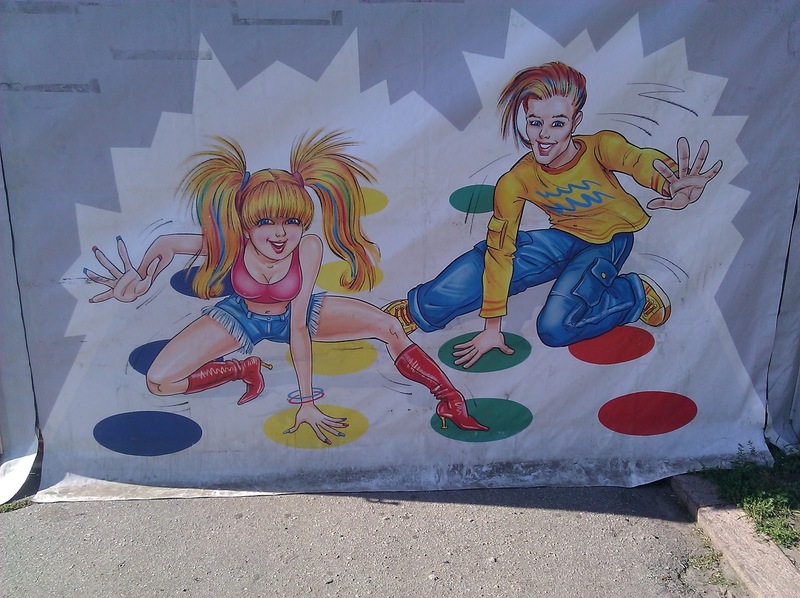 This is the advertisement for Twister in Ukraine. This was from one of the market stalls in Freedom Square...this stall didn't actually sell Twister. 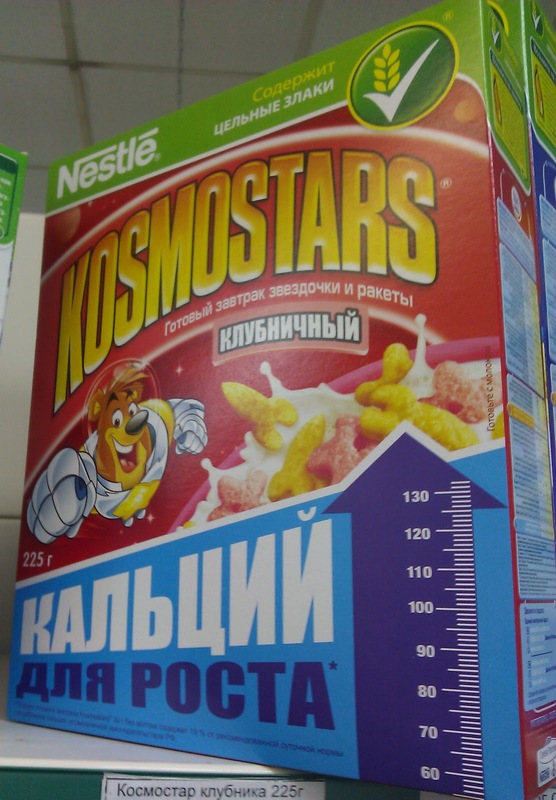 Based on the shelf space given to Kosmostars this is one of the most popular cereals in Ukraine. The electric bus had it's cables come off the rails and the bus driver had to get onto of the bus...not sure how long the people in the bus had been waiting. 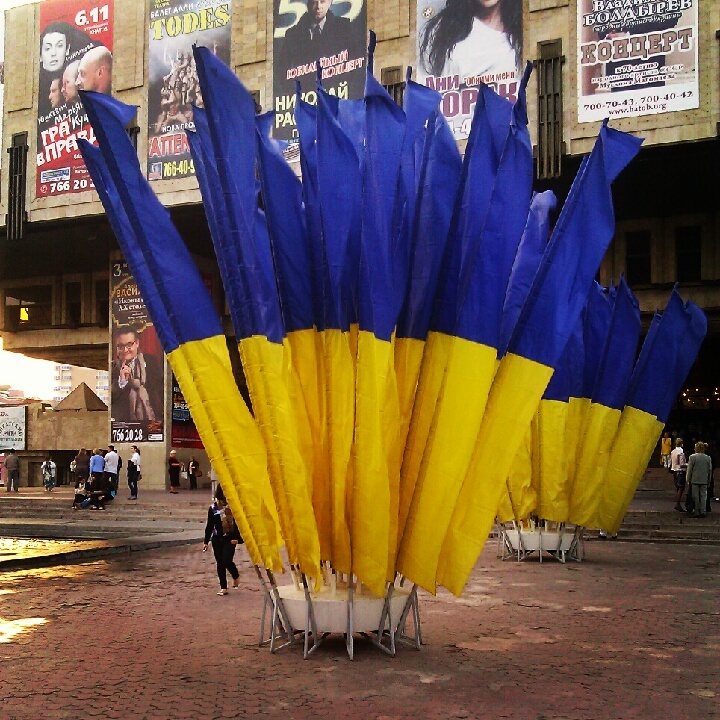 Just some giant shuttlecocks in front of a concert hall. One of the restaurants around our first apartment. 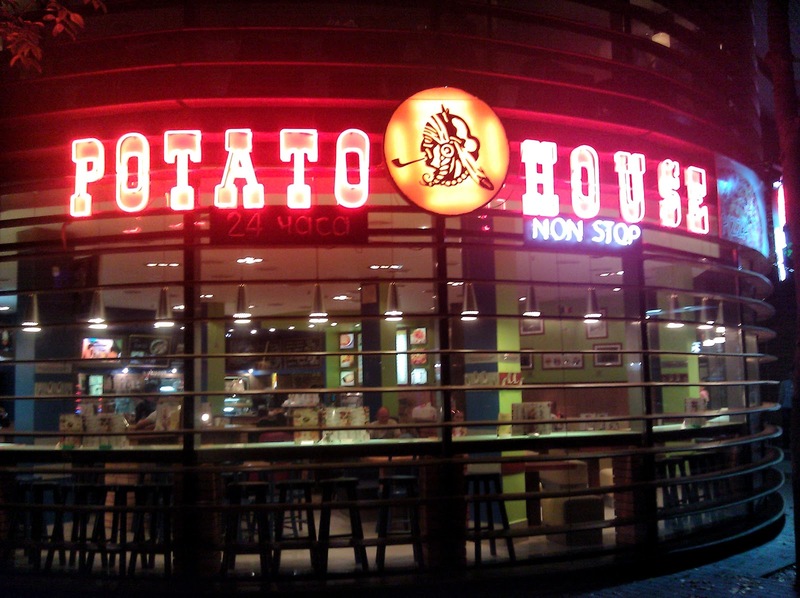 I enjoy that the restaurant sign says "non stop" in English. 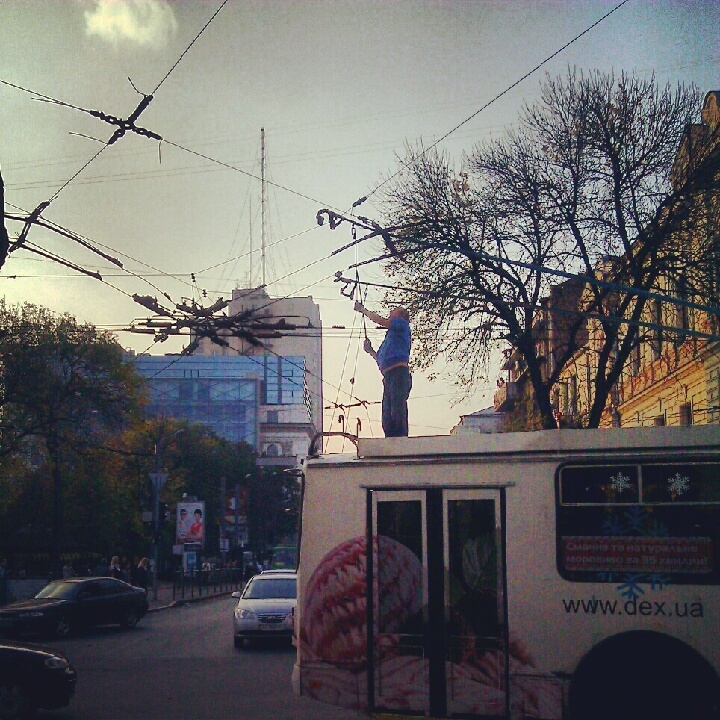 The sign for the Kharkiv Metro. A shot of Constitution Square. 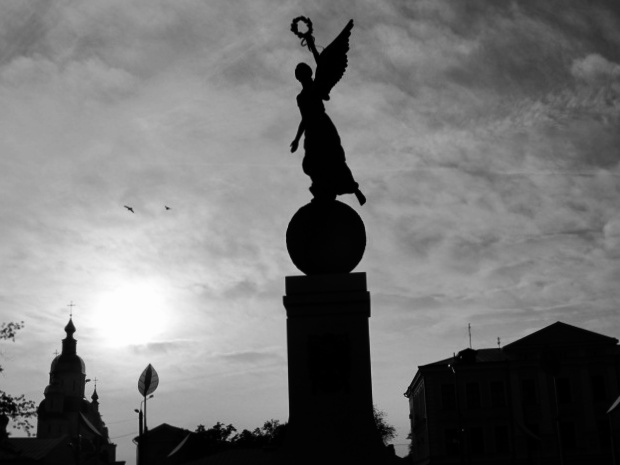 A black and white view of Constitution Square. 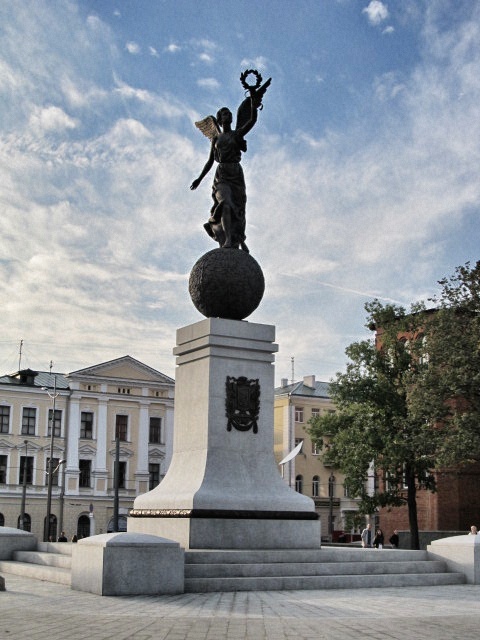 Although I would say the city has been pretty well scrubbed of communist symbols [giant Lenin statue in Freedom Square excluded], every once in a while you'll find pieces of architecture that is just way too difficult to get rid of. In the long line of things we needed to do to get Laura's residency permit at one point we needed to get a certified translation of her passport by some sort of official translation department. This led us to an office building in which the first floor looked to be brand new but when we stepped off the elevator on Floor 4 we were greeted with this view. 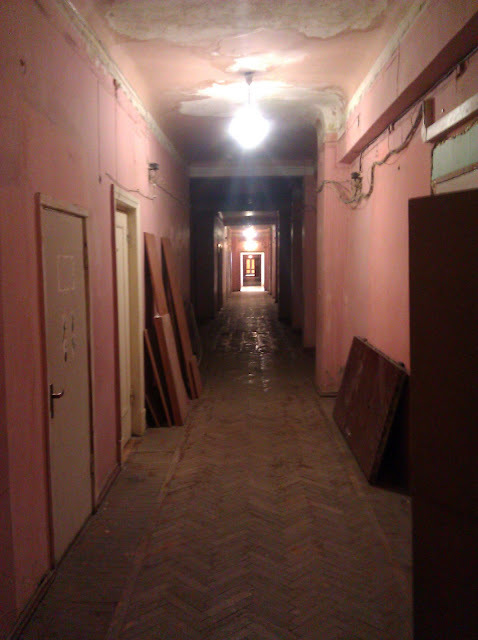 Sure enough, down at the end of the hall way was a little sign for "Translation Department" in English. This was the start of a Kafkaesque routine of first getting the passport translated into Russian [which everyone at the school office spoke] and then being told that we instead needed it in Ukrainian which meant going back to the office and repeating what we had just done.